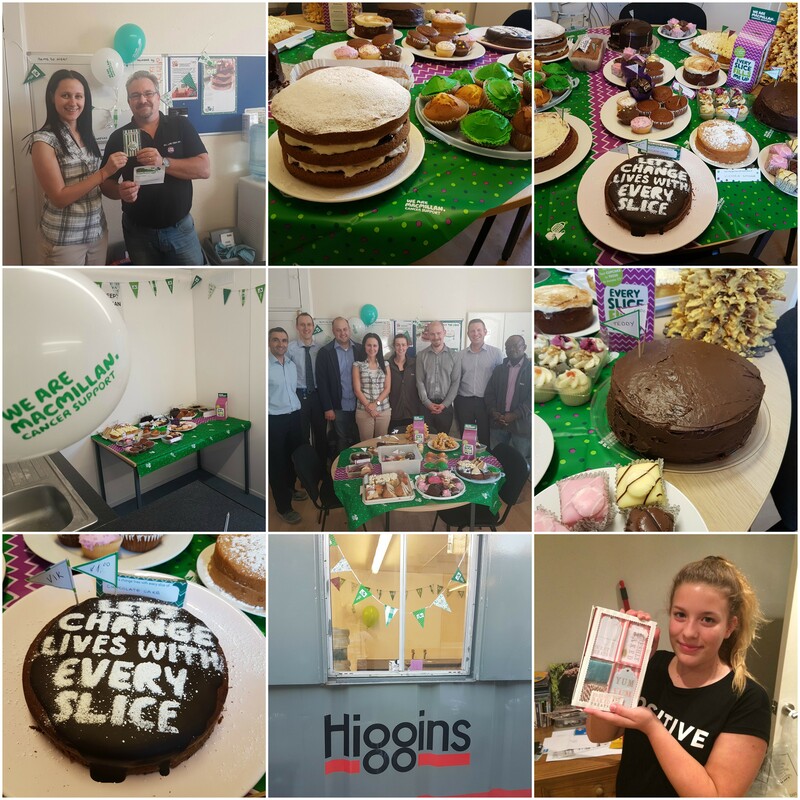 We, at Gabriel Square have had our Macmillan Coffee Morning last Friday 30th September 2016. We had a cake sale and played the game ‘’Spot the Cake’’. We have set up cake sale locations in our office and also in the canteen area as well, so operatives can enjoy the delicious cakes made. Subcontractors and employees of Higgins have shown their skills by baking for the event. At the end of the day we have announced the Best Baker, who has been awarded with the ‘Best Baker’ badge. The ex-chef Glen Pritchard has made us three fantastic cakes and won unanimous the votes of the jury. Two runner-ups have been awarded as well – the little bakers Teddy Martin and Georgia Long, kinds of two members of our site team, have been awarded with small gifts to encourage their baking skills. We would like to thank all who participated in the coffee morning and of course to all the bakers and helpers who we obviously couldn’t have done without.